Address: Pennsylvania, Fort and Trenton Rds. I see a person below asking about metal detecting at the site. Unfortunately there is a car dealer at the location and the entire area is paved over. So metal detecting would be impossible. But if it were possible I am sure you could find some very interesting stuff there. I should also note that right next door to the park on Trenton road to the north was a driving range and a miniature golf course called The Putt, Putt right where the high rise bank is located. 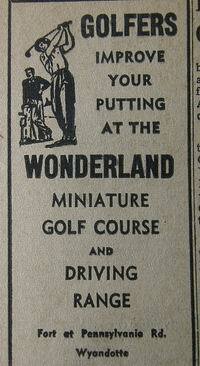 We spent a lot of time at both the amusement park and the Putt Putt when we were kids back in the 60's. Across Fort St on the south east side was EJ Korvettes, Mc Corys and Chattams Grocery. ( excuse the spelling please, It's been 40+ years). I remember this amusement park fondly. I lived a half a mile away on Huntington and the owner Sam lived across the street from us. I read one of the comments from 2013 below that stated the roller coaster was sold to Cedar Point, it's now called the Blue Streak. I am sure when the person that posted that was a child it may have looked big. But just to make sure everyone hear is clear. This amusement park was like a year round carnival. I can assure you the roller coaster was not even 1/20th the size of the Blue Streak. It was a kiddie ride. Sam also owned the party store across the street at the corner of Fort and Pennsylvania. It was called the Minute Market. Does anyone know what happened to the Hodges train that was at Wonderland?. Curious if you would be allowed to metal detect this old spot? What does everyone think?. Yes I too remember Wonderland Park, remember EJ Korvettes? Does anyone remember skating ecourse creek when it froze over and skating all the way to 75 and under it? Seems we look to try and touch a moment from our youth as we age, This page brought tears to me, as I remember winning the ceramic/glass piggy banks more than once at Wonderland. My family had the vegetable stand at the corner of Dumay and Eureka road with the little red barn my father built for me when I was a child, it made the Tribunes photo ops many times until we moved away. We also had an apple orchard, sold pumpkins and Christmas trees, We were year round. My heart has always been in Southgate, one day, I will go back and I will find it. I remember Sam Rainavich(sp) quite well. He had bad feet. Get a brand new pair of shoes and cut off the toes. Great man. Along with the Beer store in Lincoln Park he owned the one kitty corner from the park. My Dad and Uncle worked for him part time. They set up the rides and put them away at the end of the season. Dad was also his fix it man and electrition. Ma worked there as a ticket seller. They had a roller coster that I heard was brought by Ceader Point. It is now called the Blue streak. I remember my Uncle getting sued by a lady. He was running the faris wheel. A young girl around 14 was ridding it. She started screaming. He stopped the ride ask what was wrong. She said her hair was caught. He climbed up the ride and cut her lose. Climbed back down. Got her off, asked if she was ok. She saisd yes. Ma tried to sue Sam and my Uncle. Sam's atty. won the case. Gave my Dad and Uncle this advice. If you ever need an atty. Look in the yellow pages for the Jewish ones with the longest name. I think my brother has some pics will ask and see. Toby: Thanks for posting. I sent a letter to who I believe to be the son of the owner (the son now lives in Florida) asking for information and photos of the park. I haven't heard back, but if you have any suggestions as to how to reach him I would be most appreciative. You must also have some great stories to tell about the park if your dad worked there occasionally and you lived next door to the owners. While off work ,due to a car accident, I ran across this site. My parents ( Harold & Liz Salisbury ) were friends of the owners of this Park and also lived next to them on Jobin St. in Southgate. My dad worked at the park in his spare time when needed to help out. Both my parents are gone but I remember them talking about it. Historical aerial photos here: http://www. joestevensphotos. com/NHRADragRacing/Detroit-Dragway-Photos/Aerial-Photos-Wonderland-Park/14395964_VxwdXW#i=1067042127&k=iPQEb. I also fondly remember Wonderland Amusement Park in Southgate. It would open in early May and so several times we celebrated my sister's May birthday there. I never realized that the park was only open for six years. If it was open from 1960 - 1966 then I was 5 - 11 years old during that time. I remember being TERRIFIED of the roller coaster! It was probably about the same size as the Snoopy coaster at Cedar Point, but to a five-year-old it seemed huge. We took a visiting cousin to the park and there was a mishap on the Salt & Pepper Shaker that she was riding where the door would not stay closed. She still talks about that all these years later! I do also remember the trampolines. They were a novelty and fun!. at a time when no one had the backyard trampolines that everyone seems to have today. I am not sure why my mom and dad never took any photos of our trips to the park but like others here I would love to have at least one. 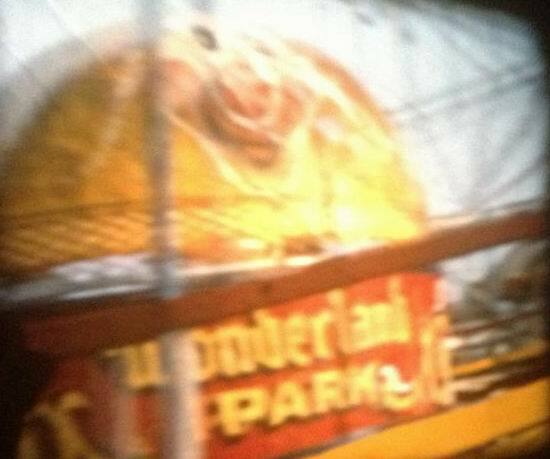 I used to work at Wonderland Amusement Park from 1960 until 1966 when it closed down. I ran the Kiddie rides when I was 11, as I got older (14-15) I operated all of the rides. My Mom sold tickets and my Dad did maintenance on the rides. When they put in the trampolines I worked there until the place closed. Sam Raynovich, the owner gave me one of the trampolines when they closed. When my Mom & Dad started working there I was about 5 or 6 years old and Sam would give me a bag of quarters to play the pin ball machines. I guess they saved a bundle of money on baby sitting! I sure have a lot of fond memories from Wonderland, but I don't have any pictures. sure wish we could get some pictures of this. i'm the only one of four siblings that remembers the rail cars you got to pump around the track (?) and the trampolines. they thought i was nuts! :) i'm goin to search my grandparents pics when i can to look for pics. please post if you find any! glenda. Gary Majeske: I remember the carnival from when i was a kid. I knew the owner Sam. He also owned Sams Beer Store on Fort street in lincoln park. My mom Arlene Majeske would take me there. She was the one that worked the refreshment stand with her daughter Phyllis. What I remember most is the man that ran the go carts Hiis name was Tiney. When Wonderland shut down my dad bought the snack bar and put in his basement for a bar in lincoln park and my uncle bought the garage that the go carts were stored in at night. Was born too late to ever come here. And I don't even know if anyone I know even went to Wonderland. All I knew is that it stood where a Lincoln dealership is today, in a shadow of a dark mid-rise occupied by PNC Bank. Across Trenton Road, there was a church that was in an unusual dome shape. That church eventually disbanded after countless minor structural failures. A Lowe's now stands at that church site. 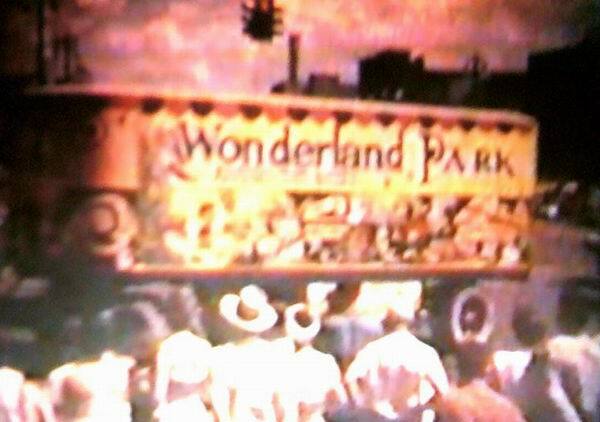 I have lived in Riverview all my life but was too young to remember Wonderland Amusement Park. I remember my parents and siblings talking about it though. I wish it would have been there long enough for me to remember. I would love to see pictures if anyone has any. I still only live blocks from there but can't even fathom a park being there. I do remember Fort George and had many good times there. Sure wish there were more drive-ins still around. Only my oldest had a chance to go to one of those. That was fun. Anyway, looking for pictures if anyone has any. That was a scary roller coaster. do you remember the jack in the box after it i believe?. Yeah Joe i remember the trampolines. You would be jumping all over on them. Then you would look at yourself and would be all dirty. Trampolines. Does anyone remember that area closest to point of Trenton, Pennsylvania, and Fort weren't there about a 6 or 8 trampolines that had pits under them and were at ground level?. Does anyone know when Wonderland closed? I remember it as a kid growing up in Riverview and always begging my parents to take me there. I have been to this fabulous web site before, and am thrilled to find an entry about Wonderland Amusement Park. I only wish there were more pictures. I grew up in Southgate and remember it as Kiddieland. It had a really cool shooting gallery for. 22cal rifles, complete with some really awesome moving targets. I''ve been trying to find pictures of that. In the same row were floating plastic ducks (pick one for a prize) and a ball pitch game. The train is called a Hodges handcar. There is a website for that. I also remember Dodgem cars, although I was too young to ride them, a roller coaster, carousel, Ferris wheel, tilt-a-whirl, and a Sky fighter kiddie ride. This was my favorite place, and when I got old enough to ride my bike there in the summer, they closed it and took it away ;( Oh well, there was still Bob-Lo, board the boat in Wyandotte and spend all day there. I could go on and on. I love this site!. I remember Wonderland. 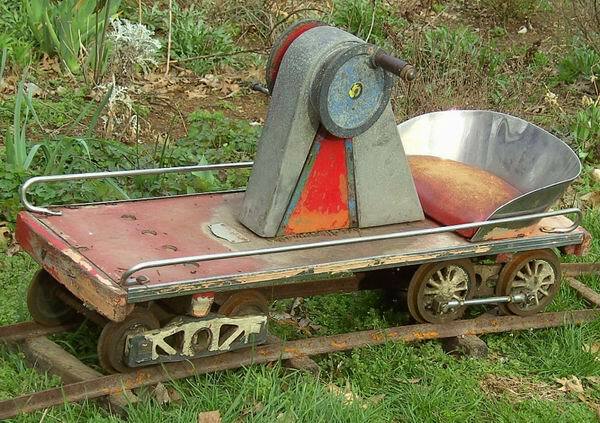 What springs to mind most is the little hand-crank trains. What a thrill for a kid to be in command of his own train! I remember watching the go-karts also, but being too young to participate. Im 54 now and you know what? Go-karts are still a lot of fun. Wow does this bring back memories. Grew up in Wayndotte and remember Wonderland Well. Had a girl when I was 14 and she was 13. Her birthday was the fourth of July. I splurged and bought my first birthday gift for a girl. A gold cross and necklace. Took her out for a birthday celebration at Wonderland and we went on a ride called the twin hammers and the necklace broke and she lost the cross. I guess it was okay as we are still together after 50 years. Fort George drive-in was right next to it and we also spent many a nite there. Would love to see a picture of Wonderland. I was looking for info on Bob-Lo and Wonderland too. I lived in Southgate from 54-67 and then a couple years 74-75. My parents used to take us there (Wonderland). I freaked out on the tilt-a-whirl and didn''t ride many rides after that. I would love to see a picture of Wonderland If sombody ould post one. and if i come across one I''ll do likewise. I''m geting old (55) and really looking for places things i did as a kid. I''ve lived in Calif. since 68 and don''t miss the winters though. Tony Anybody else remember going to the Michigan Drive-In. They had a few rides there too. Remember when you had to roll up the windows while the mosquito truck drove down the lanes fogging the place. Man I wonder what kind of poison they were spraying?. I remember that. There were also go-carts, golf range and batting cages. I too remember that it was not permanent though it was a carnival that came every year for about 10 years. 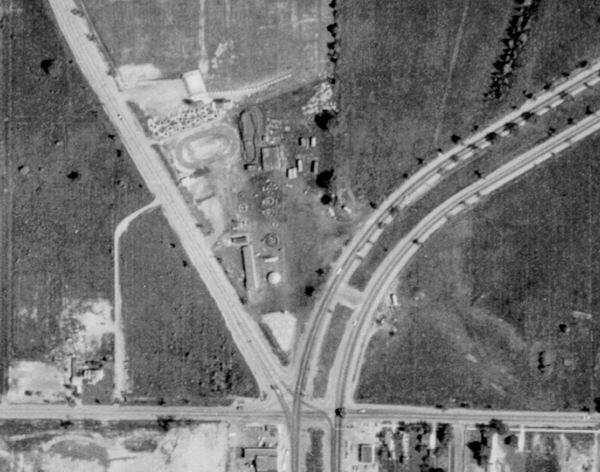 I was just looking at your Website, which I found through Google when I was looking for information/pictures of the old Michigan Drive-in theater on Dix in Southgate. While browsing, I checked out the Amusement Park section. There is one you are missing. It was very small, but I imagine it would go in that category. It was more like a little carnival, but it was a permanent location. (I remember a ferris wheel, tilt-a-whirl, a children’s ride that went on a track with little individual hand cars, and some games. There were probably a few more rides, but I don’t recall them. ) It was on the corner of Pennsylvania, Fort Street, and Trenton Road, in Southgate. There is a auto dealer there now. My parents used to take me there as a child, and my husband remembers it also. It was called Wonderland. I’m sorry I don’t have any pictures.